The United States is reversing Volkswagen’s recent progress in tackling its emissions scandal. The U.S. Department of Justice on Jan. 4 issued a strongly worded lawsuit against the German carmaker, upending a six-week rally in VW shares. Wolfsburg needs something big to stop American lawmakers wielding a scarily large stick. Last year ended on a relatively positive note for the battered company. German regulators rubberstamped an inexpensive and simple fix for the majority of the 11 million vehicles sold in the European Union. Suspected manipulation of fuel efficiency data uncovered by VW’s internal investigation turned out to be much less widespread and severe than initially feared. Yet both precedent and the lawsuit’s content suggest the United States will be tougher. The Department of Justice accuses Volkswagen of four different violations of the Clean Air Act. Most strikingly, VW’s theoretical maximum fine if found guilty has more than doubled to in excess of $45 billion – almost 65 percent of its market capitalisation. Moreover, Volkswagen has done little to win the goodwill of U.S. authorities. It admitted wrongdoing in September 2015 only after months of stonewalling. The company still lacks a technical fix to lower toxic emissions of its affected U.S. diesels to pass the country’s more demanding emission regimes and effectively reduce exhaust fumes. And the complaint filed on Jan. 4 also accuses VW of continuing to impede and obstruct its investigations “by material omissions and misleading information” after the September confession. VW cannot afford to lose more time in the United States. It needs to ditch the ill-fated plan to repair the 580,000 U.S. vehicles. A swift buyback of all these would be far more effective, as it would end the extra air pollution at once. These benefits would by far outweigh the initial costs Evercore ISI analysts see at 5.8 billion euros. 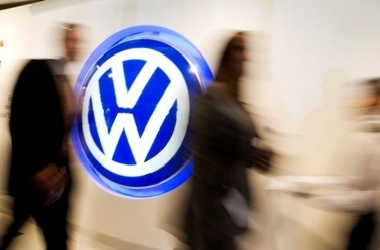 More sweeping changes in Volkswagen’s governance are also important. Chairman Hans Dieter Poetsch should go. The former finance director was one of Volkswagen’s most senior managers during the emissions cheating era. A credible outsider, who is unburdened by the past and embodies a new culture, could then set about trying to limit the fallout across the Atlantic. The U.S. Justice Department on Jan. 4 filed a civil lawsuit against Volkswagen AG for allegedly violating the Clean Air Act by installing illegal devices to impair emission control systems in nearly 600,000 vehicles. VW could face fines of in theory as much as $37,500 per vehicle for each of two violations of the law and up to $3,750 per “defeat device” – potentially amounting to over $45 billion on the 580,000 affected cars. On top, the carmaker may face another $37,500 for each day of violation,based on the complaint. In September, government regulators initially said VW could face fines in excess of $18 billion. The Justice Department lawsuit, filed on behalf of the Environmental Protection Agency, accuses Volkswagen of four counts of violating the U.S. Clean Air Act, including tampering with the emissions control system and failing to report violations. Over the last six weeks of 2015, VW preference stock surged by 32 percent, while the DAX lost 2 percent. Some analysts see upward potential for VW stock of another 50 percent.